CPA Australia is at about the halfway point of getting its limited liability cover reinstated, with some crucial steps still ahead. CPA Australia’s proposed new Professional Standards Scheme will be published and progress to public notification from 27 September 2017, interim chief executive Adam Awty told members this morning. The public notification period will run until 25 October. The current scheme will still expire on 7 October, meaning CPAs in public practice will lose the protection of capped liability for the provision of certain services until a new scheme is put in place. Affected CPAs can read more about how to manage their risks here. During the public notification period, the PSC invites members of the public to make a submission about the proposed scheme. This is the fifth step in an eight-step process. The crucial sixth step will see the application considered by the councils, with particular focus on risk management strategies of the applicant and how proposed civil liability limits could affect consumers. If the scheme is approved by the councils, it then needs to be submitted to the attorney general, or relevant minister, for authorisation in the jurisdictions listed by the applicant. 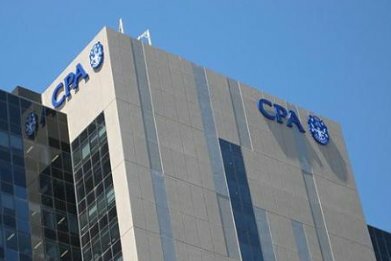 CPA Australia’s existing scheme could not be renewed before expiration largely because of conflicts of interest arising from the establishment and structure of CPA Australia Advice. The significant corporate governance and leadership issues at CPA Australia also contributed.